Although these two videos have been around since 2007, they are new to us. These news segments are quick to acknowledge how unprecedented, and perhaps controversial, it is for Native Americans to share information about the Hairy Man AKA Sasquatch. Already there have been a few episodes of Finding Bigfoot where they have had to ask the indigenous people for permission to film or interview regarding the subject of Sasquatch. Even more interesting, is what they are saying. According to multiple Native Americans, Sasquatch have become more visible in modern times. Oh and Tom Biscardi makes a guest appearance too, this is the pre-frozen-bigfoot-in-a-freezer Tom Biscardi. 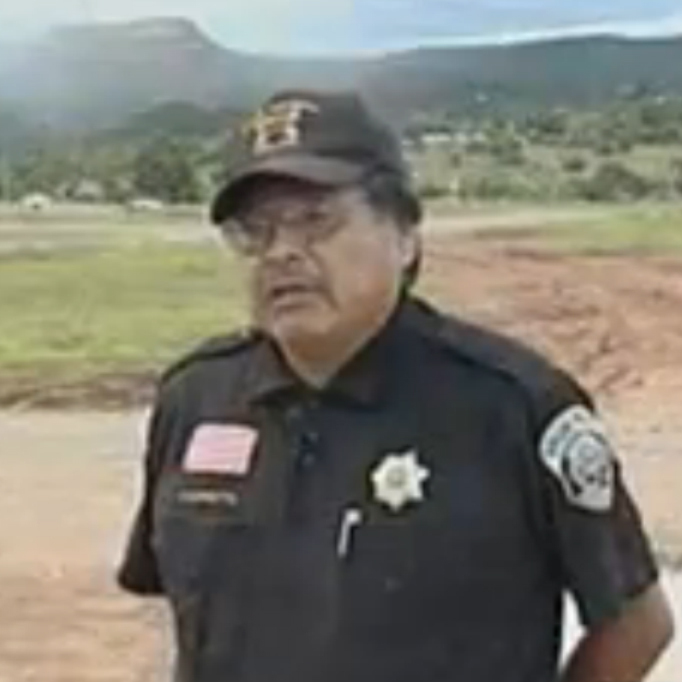 CNN iReport: Bigfoot Print at Apache Tribe Reservation? At CNN they have iReports, where people take part in the news with CNN. It is a user-generated section of CNN.com. The stories here come from users everyday. 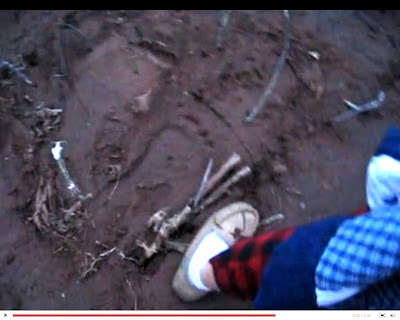 Below is a possible footprint found on the Fort Apache Indian Reservation. The Fort Apache Indian Reservation is an Indian reservation in Arizona, United States, encompassing parts of Navajo, Gila, and Apache counties. It is home to the White Mountain Apache Tribe of the Fort Apache Reservation, a Western Apache tribe. There have been Bigfoot sightings there for years. Last night (Feb 3rd, 2010), the whole town was excited to find these prints. Despite the kids on the video claiming it is small, it is clearly larger than the adult males foot in a shoe right beside it.